Hi! We’re the folks at Aeweb. Thomas is president of Aesthetic Web Solutions. He has experience at a big data consulting firm in New York and banking/insurance in Toronto. Past clients include American Fortune 10 and Fortune 500 plus big five Canadian banks and a multinational insurance company. He completed a degree of Materials Engineering & Management from McMaster University. He also has professional experience in data, risk and financial analysis and corporate management in the banking sector. He serves as the key database consultant, query and process optimizer. 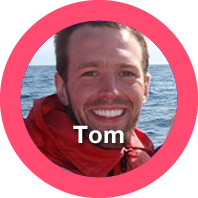 With a robust and extensive knowledge of technologies such as PHP, Python and a solid understanding of Physics and Matemathics, Tom may help bridge the gap while facing technically challenging projects that may be out of scope for smaller firms. David is our valuable behind-the-scenes guy. He takes care of the code that makes the websites run. When he is not busy crafting websites, he works on other software projects as a Software Engineering major. His favourite part of what he does is when he finds new and better ways of accomplishing something. 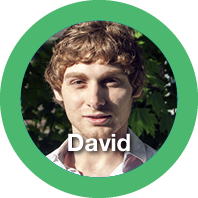 David is currently pursuing a Bachelors Degree in Software Engineering at McMaster University, specializing in embedded systems. Alongside his studies, David has strengthened his software and web application design skills making his code more efficient, robust, and capable with every project. When he is not working, David likes to race small sailboats and will be racing along with his dad in the 2013 Wayfarer World Sailing Championships. He also enjoys and values staying in shape and healthy, where he is lucky enough to train at a gym with a great group of driven individuals. Another interest of his revolves around math and logic. Finding problem sets fascinating, David tries to practice them frequently. Even though he enjoys poking around with computers, David has enough hobbies to make sure he doesn't spend his whole life on, inside or next to one! Manfred is currently in his last year of a very successful Computer Science degree at McMaster University, keeping a remarkable academic standing in a very tough curriculum. Since his introduction to the Search Engine Optimization world during his first year of university, Manfred has developed a true passion for the subject, making huge leaps and accomplishments with every project. 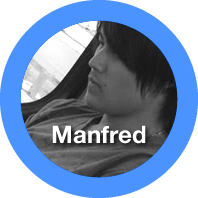 Other interests of Manfred include playing squash, cycling, video game programming, strategy games on and off the screen as well as being an avid English and History buff and a great cook.